Adding new products to a list of price lists can be time consuming so why not automate that with Flow. 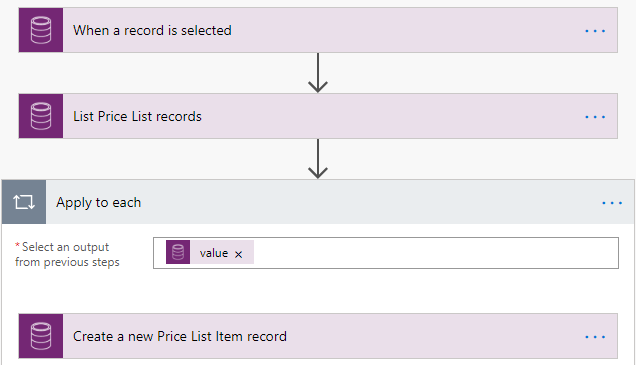 I use the trigger ‘When a record is selected’ with a text input to get the first part of the name that the -to be selected- price lists have in common; they share the same name followed by the currency name between brackets. 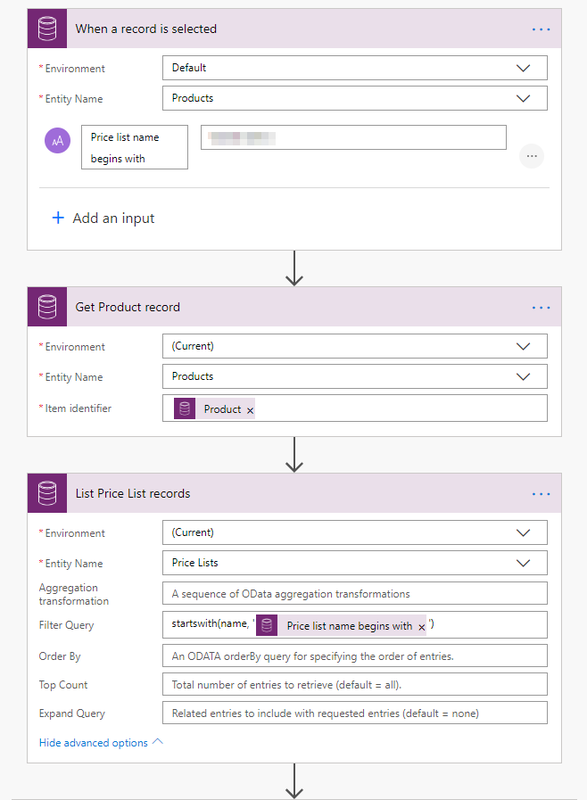 The Get Product record is needed to get the value of the Default Unit from the Product, since the dynamic content of this field from the trigger doesn’t give a value back. Then I select the list of Price Lists and for each Price List record I create a new Price List Item record. 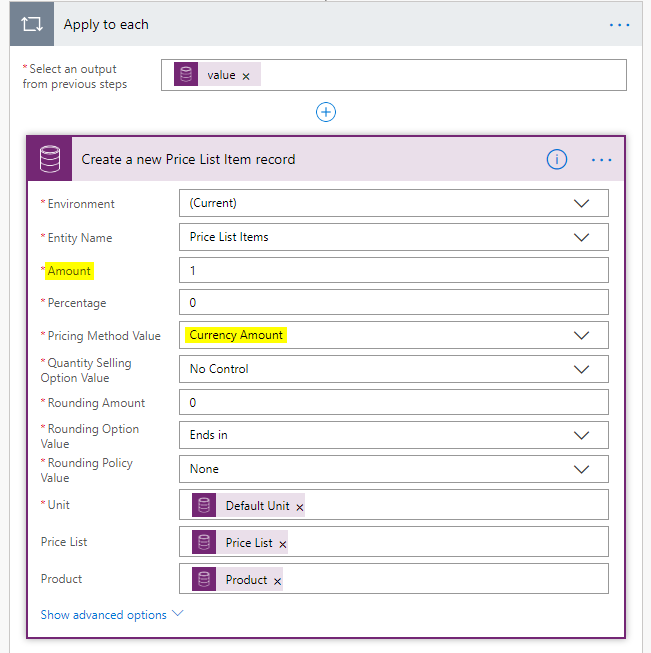 The Pricing Method Value of choice is ‘Currency Amount’ so only the Amount field matters and the Percentage and Rounding fields not but have to be populated since they are required in this action. For practical reasons I use the Amount of ‘1’ for all Price Lists. 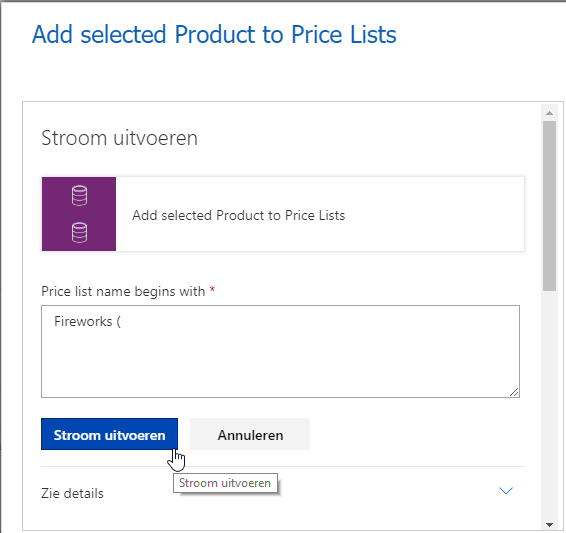 So when I run the flow from the context of a product and give the text input, the product gets added to all selected Price Lists in the different currencies.